Picture a country built from scratch: a city-state with open borders, where paying taxes is optional and there are no laws other than “live and let live.” At just three square miles, cars will be unnecessary; the open-air cityscape will allow for algae-powered residences and vertical farms. Private property, drug use, and sexuality will be free from interference by the state. Thomas Jefferson’s vision of “life, liberty, and pursuit of happiness” serves as a guiding principle. Oh, and before you pack your bags – there will be no universal health care and no social safety net. Depending on your political leanings, that last part may be a dealbreaker. But for founder Vit Jedlicka, that’s what makes the whole thing work. Jedlicka, now in his 30s, grew up in Communist Czechoslovakia, but studied libertarian philosophy as a college student. He envisioned a country free from authoritarian rule. In 2015, he officially “founded” that country, in a kind of no-man’s-land on the border of Serbia and Croatia. For years, neither country was interested in defending the territory, which sits on the west side of the Danube River. 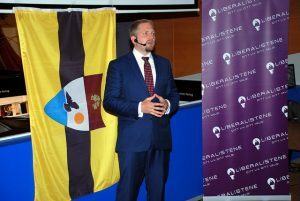 So Jedlicka and his supporters planted a flag, claimed the territory, and called it “Liberland.” They created a website through which would-be residents can apply for citizenship, and have received hundreds of thousands of applications from every country in the world (only Nazis and Communists are banned). So far, Liberland’s citizens have created a national anthem, flag, and beer, and are working on a Bitcoin-style crypto-currency. 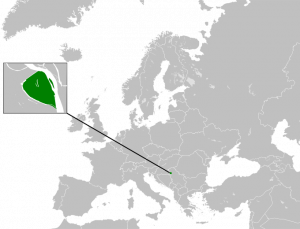 Jedlicka imagines Liberland being a tax haven, like the similarly-sized city-state of Monaco. Civil infrastructure will be crowdfunded, with residents receiving “shares” based on how much they contribute in (voluntary) taxes. A design contest drew proposals for a high-density urban area with plenty of green space. The only problem is that no one lives there – yet. Now that attention has been drawn to the territory, Croatian police have stepped up patrols of the region, and in fact detained Jedlicka when he attempted to enter the country for its anniversary ceremony this year. He participated in the festivities via Skype from “exile” in Serbia. Jedlicka is counting on strength in numbers. He believes that if 5,000 people were to arrive at the borders at once, police would have no choice but to let them occupy the territory. He’s also working behind the scenes to get Liberland recognized by foreign governments and to create embassies in major European cities. Because of its reliance on voluntary taxes, Liberland would essentially be a plutocracy by default, with rich residents having more say over the direction of the country. Refugees from war-torn countries like Syria would be welcome, but Jedlicka argues that private charity, not the state, should provide assistance to the poor. In today’s political climate — with anti-EU movements like Brexit on the rise — Jedlicka’s vision will likely draw strong support from disaffected libertarians and even some progressives. Whether or not you’d want to live there, the prospect of a new micro-nation on the banks of the Danube is a fascinating thought experiment. What kind of city-state would you design from scratch? What guiding principles would you want to see written into its Constitution? Map by Elevatorrailfan. 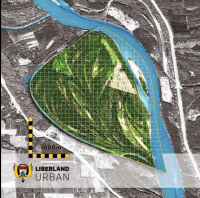 Main image via DesignLiberland. Jedlicka photo by Liberalistene Norge.